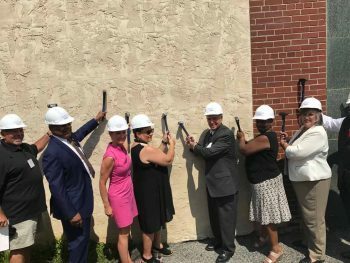 DEPG CEO Jim DePetris and a bevy of state, county and local officials celebrate a ceremonial start to demolition for the Coatesville Gateway project, Tuesday. 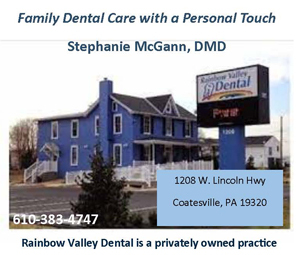 COATESVILLE — For nearly a generation, plans to begin to revitalize the city have appeared on the horizon, only to disappear like a distant mirage, leaving city residents thirsty, time and again, for real progress. On Tuesday, with nearly 300 people on hand to witness it despite blistering July heat, the first ceremonial steps toward real development kicked off, as officials from DEPG Associates gathered with a bevy of local, county and state officials — plus hundreds of local residents to formally kick off the construction of Coatesville Gateway at the intersection of Lincoln Highway and First Avenue. A rendering of the project slated to be complete in Dec., 2018. While the hammers and hardhats used Tuesday were just ceremonial in nature, real demolition of the buildings on the north side of Lincoln Highway will begin shortly, said James DePetris, CEO of DEPG, and with it, the first tangible steps toward real redevelopment in the city in more than 25 years. When it is all done — and DePetris said the schedule calls for completion by Dec. 2018 — the mixed-used development will offer office space and retail, including two restaurants, one of which might be hosted in the historic bank building across the street. Although the iconic Lipkins Building — long vacant — will be torn down in short order, the new development should lead to additional business development in the city, officials said. With this project, the new train station coming on Third Avenue, the rebuilding of the intersection of First Avenue and Lincoln Highway and other smaller projects in the pipeline, it appears that the future — finally — is now for the city. 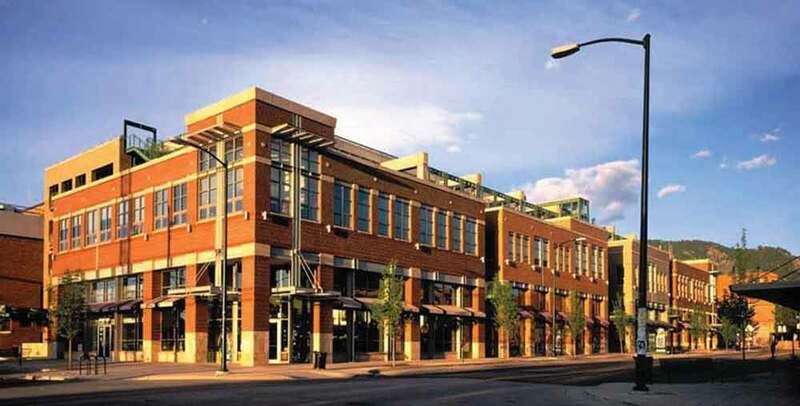 To be sure, getting project off the ground has been a multi-year effort, with city officials, county officials and state officials all working to make what so many have failed at in the past: a real redevelopment project that could anchor a wave of renewal in the city. Lewis, a city native, who spent his career teaching and serving as an administrator in the Coatesville Area School District, noted that the large public turn out for Tuesday’s event — even after years of false starts — shows the passion and commitment residents have for their city. 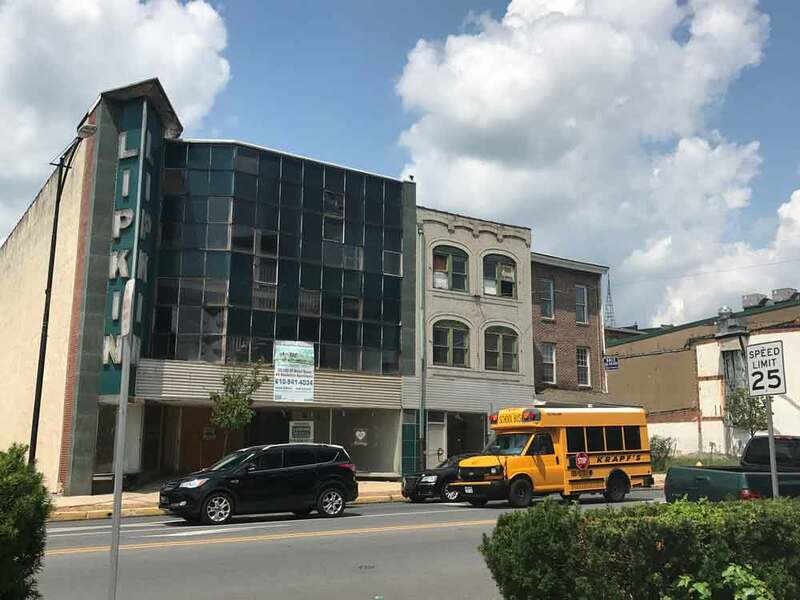 Michelle Kichline, Chair of the Chester County Board of Commissioners — which has help to fund redevelopment efforts in the city in recent years — explained why the county must continue to focus on getting the city back on it’s feet. Fellow Commissioner Kathi Cozzone, a long-time advocate for the city, aid she was ready to do “the happy dance” with this project finally ready to get under way. Commissioner Terrence Ferrell said that the time had come for the city to back up its deeds with words — a twist on the usual pronouncement. Clearly, he noted, the city is making broad steps toward a recovery and the time has come for residents and others to start spreading the word. 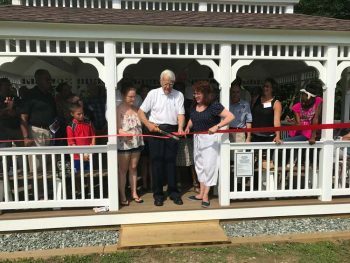 Coatesville resident John Pawlowski — a driving force behind all three gazebos in the Riverwalk, among other civic improvements — cuts the ribbon Tuesday on the newest and largest gazebo in the park. About an hour later, in a bit smaller celebration — but yet another sign of the city’s renewal — the third and largest gazebo along the city’s Riverwalk was dedicated. Already a green spot in the city, the Riverwalk features a fountain and walkway overlooking the Brandywine Creek. Now, with the three gazebos — the newest is quite large — residents have more options to get back to nature, right in the city. With more work underway at city park’s and elsewhere, residents are beginning to see real progress and not just a mirage.